Nowadays, everything is turning into a web application. Even simple websites have a mobile app relying on a REST Api. Web applications are accessible everywhere – on a laptop, desktop, tablet, mobile, and recently on wearable devices like smartwatches. Everything is becoming smaller and faster – front ends are becoming separated from back ends, and only communicate with the server through APIs. In this series, we are going to create a photo uploading app. For the front-end, we will use EmberJs and Foundation 5. EmberJs is a front-end framework featuring good integration with REST Apis. Foundation 5 will help us make a fast prototype of our front end. For hosting, we will use Heroku’s free tier (for more information about PHP on Heroku, see here). For the back-end, we will use Laravel. The source code will be available per-part, and in final shape in the final part of this series. You can download the code for part 1 here. A good way to start a new project in PHP is using Vagrant. Vagrant gives us the space to experiment a lot from project to project. I can have different PHP versions if I want with Apache for one project, Nginx for another. If something goes bad, I revert all my work and simply vagrant up after that – and I never pollute my host operating system with various other installations. The easiest way to get started is by following this quick tip, which will take you through a fast installation process and show you a working Laravel app in a matter of minutes so you can start hacking away. 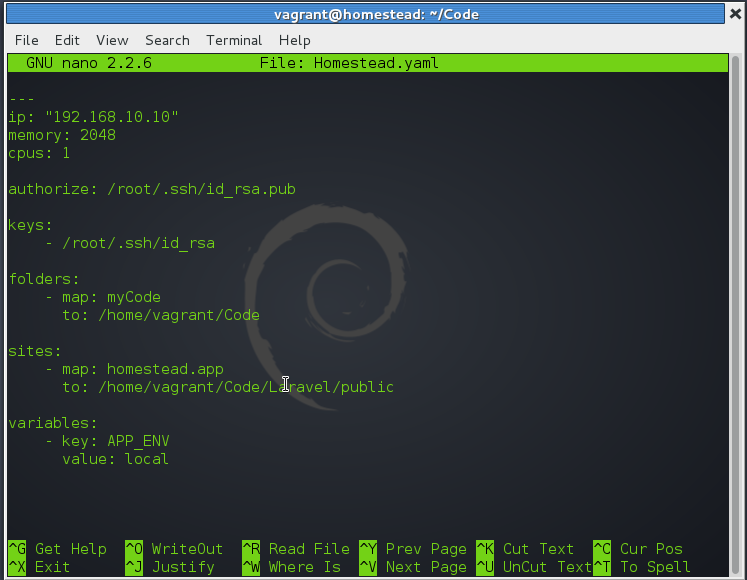 If you’re still not convinced why you should use Homestead and Vagrant, see here. My Homestead.yaml looks like this. Now that the box is running we have have to install Laravel. Firstly, lets use ssh to make a connection with the box. Then navigate to the folder that will host our app. Here we need to download Laravel and then install the dependencies with Composer. The files of the sample app are now available both inside the Vagrant VM and in your host operating system for editing with your favorite IDE. 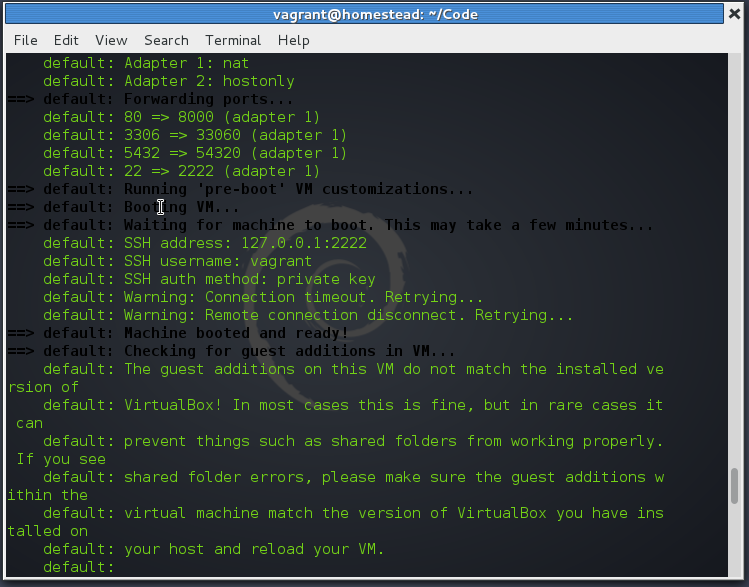 The below actions are all executed inside the VM, while logged in with vagrant ssh unless stated otherwise. For a more detailed overview of Heroku on Vagrant and installing of addons, see this post, otherwise, see below. If you don’t already have an account on Heroku, create one by following this link and download the Heroku Toolbelt. This is a client cli that simplifies our work with Heroku. We can install addons from this cli, create new projects and with the help of git we can also push every change. After creating an account on Heroku and installing Heroku Toolbelt you have to log in to start using it. After executing this command, we have a connection with Heroku. Now we can start creating a new project there. To start using Laravel on Heroku we need to do some small changes. First, create a file and name it Procfile. Add this line inside that file. This is a configuration file. Heroku needs it to know what it is dealing with. With this, we specified PHP and Apache. We can also use python, java, ruby, scala and more . When installing Heroku Toolbelt, Foreman is installed too. It is used for executing Procfiles locally, helping you maintain dev/prod parity. If you are curios as to what else a Procfile can do, follow this link from the official Heroku documentation. If you’d like to use Nginx instead, see this post. The second step is to remove the Composer.lock from .gitignore. After we are finished with git, let’s go back to Heroku. This creates a new project on Heroku. This will push everything to Heroku. Let’s test it. 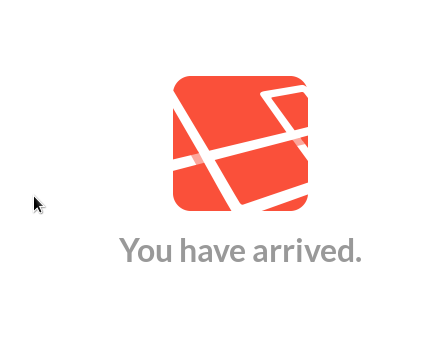 If everything goes well then we will see the Laravel logo we also saw when we tested it on Homestead Improved. If you have problems with the rsa keys then read this article. If you want to know more about PHP on Heroku, see here and here. We’ll use Bower for front-end package installation . You are free to use anything you want, even downloading as zip from Github or from official pages. Navigate to the public folder in the Laravel folder. There’s no need to install Bower because Homestead comes with nodeJs, npm and Bower pre-installed. Then install the packages: Foundation 5, EmberJs and Ember Data. Ember data is a library used by Ember and is stand-alone. It will help us with the REST Api as a Rest Adapter. Bower has installed everything for us, including all the dependencies. Lets start building the fundamentals of our project. Bower has installed the dependencies and put them in bower_components. We also need a folder to put our static files in. Create a folder called static in the public directory. Then create three folders inside: js, css and img. In the js folder create an app.js file and in the css folder, a style.css file. The first thing I always do when starting a new project with Laravel is to generate a key for secure password hashing. This is the skeleton of the view – we can build from that. This is an one-page app which makes this file the only view in the entire application. Everything that we are going to build with Ember will be only in this file. Test it in your browser. Open localhost:8000. A blank page with a title will appear. If we look at the inspector (ctrl+shift+i), there are no errors. Every file loads without problems. Upload all the changes to Heroku and see if it works there. In /app/config/database.php change the default key to point to postgres. Different config values are used for Postgres on Heroku and on Homestead. So how can these values be used in each case? From the original quick tip, we know the default Postgres port is 54320 and the user/pass combination for our development environment is homestead/secret. We have to change the values for the production environment (Heroku, in this case). Create a new folder called production inside /app/config. Copy the database.php located in /app/config/local and put it in the production config folder. Also put a copy inside the testing folder. When you want to test your application, you have to configure the database for that environment, too. Laravel stores the configurations for Homestead by default in the local/database.php folder. Heroku stores the configuration of postgres as an environment variable. In the end, the file should look something like this. Now the psql is ready to be filled with data by using migration and seeders. It is easier to maintain the code and make some changes using migration. Artisan is a nice tool for cutting down development time. Migrations and seeders are just a bit of artisan magic. This will execute the up method on every migration file and creates the schema defined inside that method. On the other hand, php artisan migrate:reset will execute the down method and in most cases will revert all the changes that the up method did. If you create a schema with the up method, revert everything in the down method. The database now has a table called users with a simple structure. Using the Seeders the database will be filled with data. After all, it’s better to have the data in the database by running one command than doing it manually every time the database changes. Create UserTableSeeder.php inside /app/database/seeds/ folder. A seeder class has to extend the Seeder class. Also, add this code inside /app/database/seed/DatabaseSeeder.php because artisan doesn’t include custom files when running php artisan db:seed. Instead, you have to use php artisan db:seed --class=UserTableSeeder to use that particular class. I prefer to run php artisan db:seed and let the DatabaseSeeder do all the work. This only adds one user inside the users table. More users are needed for testing an application. We’ll handle this in part 2. A new row with our values has been created inside the users table. We have a database with a simple table on Homestead. But can these changes be made on Heroku? Use git to push the code online and find out. git commit -m "adding database"
Afterwards execute artisan on Heroku. Put heroku run before any php/artisan command and it will work. Since this environment is in production mode, a question will appear on the screen. Hit enter and the users table will be created and seeded. If you have more seeders and migration files, the question would appear more often. In this article, we’ve built a skeleton for our application. It is now running in our local environment and on Heroku. In a situation where you deal with local development and cloud development, you can spend a significant amount of time dealing with configurations and being on the same page with two different environments. Next, we will finish creating the database. We’ll be creating some seeders with a fake data generator, and we’ll use a filesystem library to deal with local files. Stay tuned!